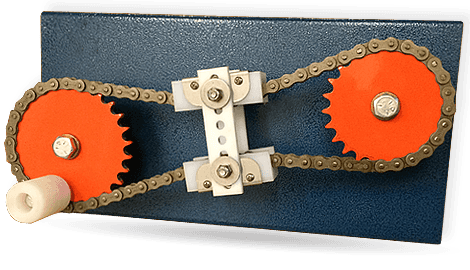 DURABILITY and VERSITILITY, two words you don’t often see together when describing chain tensioners for the Power Transmission Industry however, Snapidle has changed the minds of Distributors around the world because it is just that, DURABLE and VERSATILE. The Original and Award winning Free Floating Chain Tensioner just got even better and in the process more versatile. Snapidle chain tensioners are now 100% Stainless Steel & UHMW (plastic) making them suitable for all applications especially food handling equipment, moisture environments, waste water treatment facilities and the lists just keeps growing.